Très chic couture provides haute couture and prét-â-porter designs to today’s women fashions. 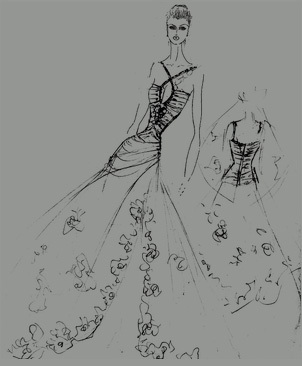 “Imad Ibrahim, is our Resident Designer of bridal and eveningwear haute couture fashions, which consists of unique designs that provide every client with a one-of-a-kind creation. Imad received his fashion education at world renowned Parisian schools – Chambre Syndicale de la Couture and ESMOD – l’Ecole Supérieure des Arts et techniques de la Mode. Afterwards, Imad received further training at l’Ateliers and then worked with several international designers.